Professional architects with DIY Architectural have been serving Santa Clarita since its founding in 1987. Serving under their parent company KT+A, DIY Architectural looks to provide Santa Clarita with the tools necessary to bring design into the modern age. Design the perfect Santa Clarita home with DIY Architectural. Use their online tools and consult with experts to make designing your structure quick and easy. They offer three main plans: DIY 4Plan, DIY Architectural, and DIY Architectural with KT+A. Additionally, clients can purchase pre-designed projects for simple projects such as accessory dwelling units and detached garages. 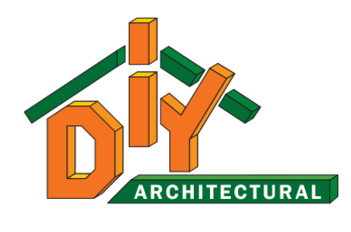 DIY 4Plan allows clients to create their own plans and receive consulting services from DIY Architectural. The DIY Architectural allows professional architects and clients to work together and collaborate as a team to design the perfect home. DIY Architectural with KT+A is most similar to a traditional architectural process. This service takes it to the next level. All the required design, construction, and building plans required for a permit are created by KT+A. Early in 2017, California passed a new law to encourage accessory dwelling units or ADUs for short. ADUs typically cost less than other forms of housing, utilize limited resources well, and provide quality housing for either family members or renters as supplemental income. With a pre-designed plan by DIY Architectural, you can easily get an ADU or other simple structure built in your backyard. Heading up the California office is Kevin Tohill. As a child, Tohill often followed his dad along to his job sites. His father was a custom home builder and framing contractor. These experiences with his father taught him the job firsthand. Since his early life he has been learning and refining his skills. After learning the construction side of things, Tohill decided he wanted to go to school to learn the technical side of things. He earned a Associates of Arts in Architectural Technology and an Associates of Science in Construction Inspection Technology from Pierce College outside of Los Angeles. Tohill was able to continue working under a structural engineer while he finished up his Bachelor’s Degree of Architecture from Woodbury University. Starting with his own home in Simi Valley, Tohill has been designing and building homes since 1987.